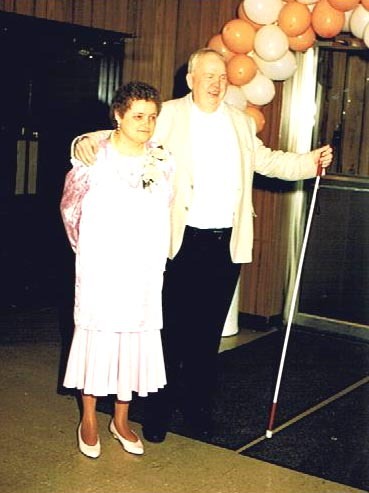 This is one of the last photographs of Gail Cook Herrmann and her husband George. It was taken in 1991 at the wedding of their son, Phillipp. George passed away in March of 1993. We thank Phillipp Herrmann for sending us this image of his Mom and Dad.